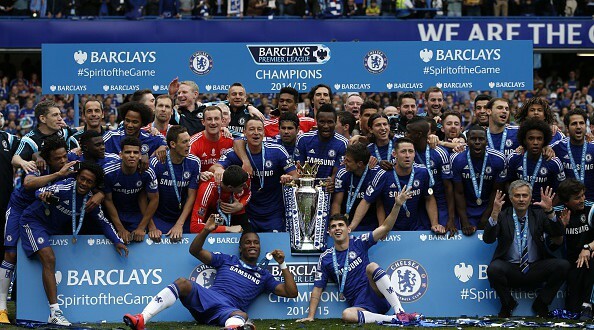 Will Chelsea repeat as champions? Which teams will be in the Top 4? Tunde: Chelsea, Manchester United, Arsenal, and Manchester City. The same top 4 teams and champion as last year, boring I know, but these teams still look to be the strongest in the league. Chelsea still boast the best player (Hazard), the best midfield (Fabregas and Matic) and center back (Terry and Cahill) pairing, which make them strong favorites to retain the title. Ultimately their title challenge rests heavily on Diego Costa’s injury status, as he was unstoppable when healthy but has frequent hamstring injuries that could force the Blues to rely on the far less impressive strike force of Remy and Falcao. The title race will be much tighter this season, with the other top 4 sides strengthening significantly in the transfer window. In 2nd, Manchester United have addressed their main weaknesses in the midfield with the signings of Schweinsteiger and Schneiderlin, and brought in a young winger (Depay) who has the potential to be the next breakout star. Their shaky back line and lack of a world-class attacker like Hazard, Sanchez, or Aguero will limit their title chances, but if Van Gaal can perfect his possession based system, United might be able to threaten Chelsea. 3rd spot is a toss-up, as both Arsenal and City have significant weaknesses, strikers and center backs respectively, that could deter their progress this season. Arsenal gets the slight edge because of they have better balance in their side with the defense bolstered by the signing of Petr Cech and the lethal attacking partnership of Ozil and Sanchez. Man City, is loaded with world-class talent back to front, but the spine of their team (Toure and Kompany) suffered subpar seasons last year, and if that trend continues they will fail to be serious title contenders. However, if those stars can recapture their past great form, if new signing Sterling provides a much-needed spark to the attack, and if Aguero (top scorer last season with 26 goals) can beat the odds by staying healthy again, City could provide the best chance to overthrow Chelsea. Just outside of the top 4, Liverpool, Tottenham, and Southampton have not done enough to truly challenge for those coveted Champions League spots. Liverpool sold arguably their best player (Sterling) to Manchester City and replaced him with an injury-prone striker (Benteke) and a player facing a difficult transition from the Bundesliga to the Premier League (Firmino). Tottenham’s hopes are almost entirely dependent on Harry Kane repeating his breakout season (21 goals) from last year, which places a tremendous burden on the 22-year old. Perennial overachievers Southamption faced yet another summer of losing their best players (sold Morgan Schneiderlin to Manchester United), so it would be unfair to expect them to improve on their 7th place finish from last season. Jake: Chelsea, Arsenal, Manchester United, and Tottenham. The surprise here—even to me if I’m being honest—is the omission of Man City and the inclusion of Spurs, a side that never fails to disappoint expectations. Well, never say never. Picking Spurs over City is a full-hearted endorsement of Harry Kane as the future face and shamelessly ruthless, cold-blooded goal scorer for his club and country. It’s the dubbing of Kane over City signing Raheem Sterling as England’s most transcendent, Wayne Rooney-esque rising star. Spurs crack the top 4, and England makes a push to at least the quarterfinals in Russia 2018 on Kane’s lithe back. You heard it here first (and possibly last unfortunately). The inclusion of London’s other star-studded clubs on this list is as much of a no-brainer as leaving annual hopefuls Liverpool out. Just look at the managers of these sides. You’ve got the indefatigable Jose Mourinho, the patient gardener of finally sprouting youngsters, Arsene Wenger, and . . . the always cross Brendan Rogers? Come on Scousers, get real. Losing Sterling was huge, and the signing of young Brazilian star Firmino and upstart Southampton wing back Nathaniel Clyne, while quality additions, will not make up anywhere near all of what Sterling had given the Reds on the attack. So what about Sterling’s new side, Manchester City? Fabian Delph, another young English star, should add to an already stellar attack led by the shifty David Silva and clinical finisher Sergio Aguëro at the top. However, City did not do enough in the offseason to keep up with the likes of Chelsea, Arsenal, and their crosstown rivals. Look for United to make multiple runs at the title over the course of the season before eventually falling to third behind two distinguishably superior teams down in London Town. Which surprise team will crack the top 7? 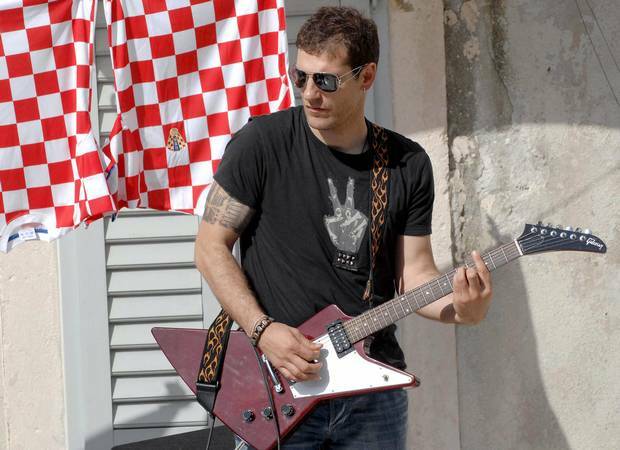 Jake: West Ham. We’re already on the London train, why stop now? If Southampton and Swansea City count as surprise top 7 teams, they would be my choice hands down, but after finishing seventh and eighth respectively last season, that doesn’t quite seem fair. The Hammers have the talent, beginning with the Ecuadorian Enner Valencia, and the new coach in Slaven Bilic, giving them more than enough to turn things around at the Boleyn Ground and make a run into relevance once again. Tunde: Crystal Palace. When Alan Pardew took over in the middle of last season, Crystal Palace jumped from relegation certainty to be assured safety with a 10th place finish. Given a full season under Pardew, Palace should be able to challenge for a Europa League spot. Palace have made some great summer signings, with Yohan Cabaye being the pick of the bunch. Cabaye could have a major impact at Selhurst Park, as the last time Pardew and Cabaye linked up (Newcastle), Cabaye put in performances that ranked him as one of the best center midfielders in the EPL. Also, look for Yannick Bolasie and Wilfried Zaha to bring a great deal of skill and pace to the Palace attack and make them one of the more dangerous offenses in the league. Which club will shock us with a relegation scare? Jake: Everton. Now, there is no chance that the Toffees actually do go down. They have too much talent, and they’re spending too much money for that to be on the table at all. However, they will continue to go through the growing pains we witnessed at Merseyside last season. Losing Steven Pienaar to injury for the start the season won’t help, and Tim Howard’s form in goal could, like the first half of last season, be an issue for the club that now, somewhat naively, expects top-5 finishes. The best thing that could happen for Everton is the rapid maturing of their infantile star in the middle, 21-year old Ross Barkley. A homegrown prodigy, Barkley has already tallied thirteen caps for the English national team but has zero goals in those matches and eight goals in his seventy-six appearances for Everton. Yet the young gun has enough talent to draw praise from pundits and coaches alike, and if he takes great strides this season as a dynamic player and heady leader, this answer to this question will be downright and embarrassingly wrong. Toffee fans can only hope. Tunde: Newcastle. Last season, after Pardew left for Crystal Palace, Newcastle suffered heavily (only 3 wins in the final 19 games) and barely escaped relegation. New manager Steve McClaren, does not inspire much confidence and has not found great success since his failed stint as England manager in 2006; he most recently was fired from second division side Derby County. Despite the size and history of the club, Newcastle rarely spend big in the transfer window, and this could be the season where they really pay for it, as their major signings of attacking midfielder Georgino Wijnaldum and forward Aleksandar Mitrovic fail to address significant deficiencies in their defense. Who will be the season’s biggest breakout star? Jake: Alex Oxlade-Chamberlain, Arsenal. The 21-year old has scored six goals in seventy-eight career appearances for Arsenal, and if Arsène Wenger is as smart as he is alleged to be, he will set Chamberlain loose to roam free on the right side of Arsenal’s attack and wreak sheer havoc on opponents’ back lines. Those goal tallies should skyrocket. Tunde: Memphis Depay. At the age of 21 Depay has already accomplished a great deal, scoring twice in the 2014 World Cup for Netherlands and leading the Dutch League, Eredivisie, in goal-scoring last season with 22 goals for PSV. Now reunited with his World Cup manager, Louis Van Gaal, at Manchester United Depay will continue his upward trajectory as one of the world’s most promising young attackers. Depay is a dynamic goal-scoring winger whose pace, skill with the ball, and unbound confidence could see him eventually reach the levels of United’s last great winger, Cristiano Ronaldo. Memphis Depay, the next Arjen Robben? And the summer signing who will have the biggest impact? 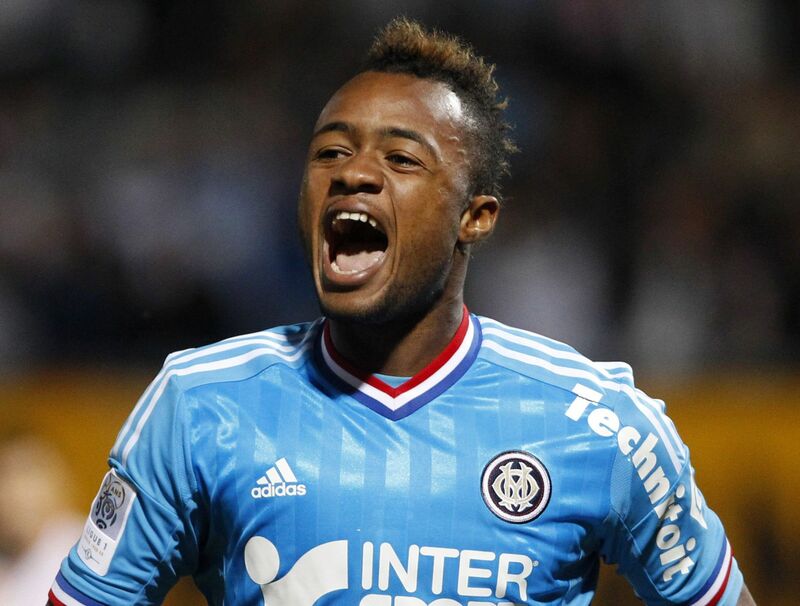 Jake: Jordan Ayew, Aston Villa. The 23-year old Ghanaian international showed flashes of brilliance in the 2014 World Cup and will be called upon to help replace some of the goal scoring and creating capabilities of Christian Benteke and Fabian Delph for Villa. He might not get around to doing that all too much in the beginning of his first season in the Premier League, but he should make an impact and develop into a solid addition at Villa Park. Look for him to create chances for himself and his teammates with his lightning speed. Will Jordan Ayew be able to replace Benteke’s goals for Villa? Tunde: Yohan Cabaye. As previously mentioned, in joining Crystal Palace from PSG, Cabaye has reunited with his former Newcastle manager Alan Pardew, who in the past brought the best form out of the player. At his peak, Cabaye was a complete midfielder who was able to contribute to all aspects of the game with a wide range of passing, long shots, set piece delivery, and strong defensive contribution. Cabaye will look to recapture his peak form and could be the driving force behind Crystal Palace’s Europa League qualification efforts. Tunde: Wenger vs. Mourinho. A rivalry that has been building for a long time now could finally escalate to a full-on brawl. Probably not, as the most aggressive thing an EPL manager can do these days is not shake the other manager’s hand after the game. Back on the field, Mourinho has dominated this rivalry with only one loss in 14 games vs. Wenger, but Wenger has finally shown the ability to adjust his tactics to conquer Mourinho, as seen in Arsenal’s recent Community Shield win over Chelsea. 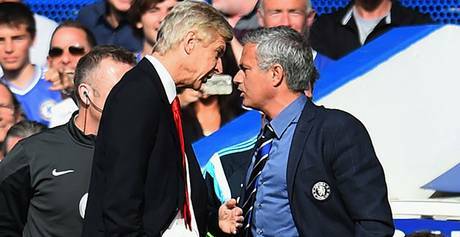 Look for Mourinho to continue to try to get under Wenger’s skin with hypocritical digs at Wenger in the media, which should provide sufficient entertainment between fixtures. Who knows, this could finally be the season where Wenger bests Mourinho with a championship finish, which could lead to a memorable, heated end of season press conference. Jake: Sorry to be egregiously general with this one, but for me the best storyline has to be the emergence of England’s next superstar generation. Guys like Sterling, Barkley, Kane, Oxlade-Chamberlain, Liverpool’s Jordan Henderson, and more will be starring for English clubs and the national team all year long. Some of the best story lines will come out of discrepancies between these young guys’ performances for their clubs and their country. Someone who’s been just ok in the Prem will be a huge international star, and a huge big shot in the Premier League will struggle internationally and have to take a backseat to another young stud. Maybe one of them will sleep with another one’s girlfriend or mom- the possibilities here—like the talent—are endless! What match(es) are you most excited for? Jake: I’m most intrigued by the Chelsea-Arsenal matches this year following Petr Cech’s move north on the Tube to the Emirates and Arsenal’s 1-0 snubbing of the Champions in the Community Shield. In his first ever loss to Arsène Wenger, the always ineffable José Mourinho didn’t shake his counterpart’s hand and then had to answer questions about Arsenal’s strength. Those rematches, at Stamford Bridge in mid-September and in North London in January, should be utterly fantastic, full of beautiful football and feisty coaches and fans, and they’ll likely help decide the Premier League Champion. Tunde: The Manchester derbies will pit two of europe’s best young attacking talents, Sterling and Depay, against each other and that battle could be central to who will the title this season. Sterling’s signing cost about double the amount of Depay’s ($76.5 million vs. $39 million) so he will have a lot to prove as a record signing and the future of the English national team. In recent years, City has surpassed United as the premier Manchester Club, but LVG’s United has spent a large amount of money to reestablish themselves as both kings of Manchester and the biggest club in the Premier League, so this could be the season LVG’s Bellichickian arrogance finally pays off. What should we look out for in the first week of Premier League action? Jake: Luckily, the two matches to watch on the first weekend are both being broadcast on American TV. First, we get to see if Tottenham is for real and going for it all from the start against a Manchester United side that needs to prove its still a top side if it wants its manager, Louis Van Gaal to last. Then, on NBC proper, defending champions Chelsea, coming off of a loss to Arsenal just a week ago, take on a Swansea City side that surprised everyone with a top-8 finish last season, beginning with an opening week 2-1 defeat of Manchester United. That win for Swansea sent them on a wild run that quite literally shocked the world and sent Manchester United on a topsy-turvy season full of disappointment, mild recovery, and a beleaguered, almost drunken stumbling back up to the heights that their spending should land them without worry. A good friend of ours lost $100 on that match. Swansea could do it again in this opener against the Blues, so watch out José and sports gamblers of the world. 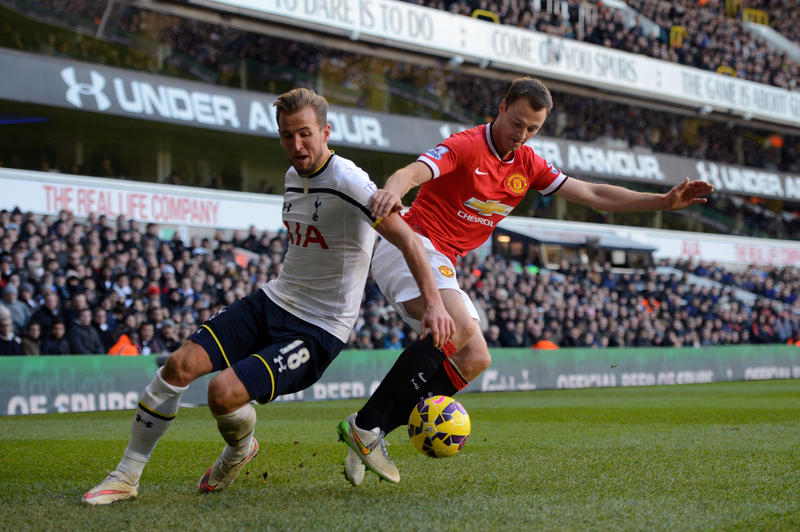 Tunde: The season starts off strong with Manchester United v. Tottenham (4th and 5th place respectively last season). United has ambitions to return to the top of the league and Tottenham has ambitions to break into the Champions League qualification places, so this game will be important to both of those efforts. Van Gaal will look to avoid another slow start (13 points in the first 10 games last season) with a statement game that shows United can be serious title contenders. Harry Kane will look to get his scoring campaign started early, and build upon his prolific breakout season to cement his status as the best English striker. The Stoke City v. Liverpool match has great potential to be a thrilling match with Stoke now redefined as a poor man’s Barcelona under manager Mark Hughes and Liverpool’s new attacking signings of Benteke and Firmino set to make their debuts. This is likely to be a make or break season for Liverpool’s manager, Brendan Rodgers, as a top 4 finish is probably the only thing that can save his job. The Stoke side features several former Barcelona players (Bojan, Afellay, and Muniesa), and at times last season they were able to emulate the world’s best side with creative attacking displays (to a much lesser extent obviously). This playing style could threaten a shaky Liverpool defense and lead to a game full of goals on both sides.